Believe it or not, I began my writing career preaching about the state of our oceans. The ocean is very near and dear to my heart — which should be the case for everyone. Growing up, we went to the east coast of Canada every summer. We were the type of kids who got up at 5 a.m. with our flashlights, ready to explore low tide. All three of us siblings have an immense amount of love and respect for the marine world. My sister even went on to become a marine biologist. Having that exposure as a child, really exploring all that the ocean has to offer, is something that I will be forever grateful for. It’s also why I spend so much time trying to educate others on the importance of our actions. Although I would love to discuss issues surrounding shark fin soup, the accumulation of plastic or long-line fishing, today I want to highlight an issue that has made recent headlines: could you be eating crude oil? 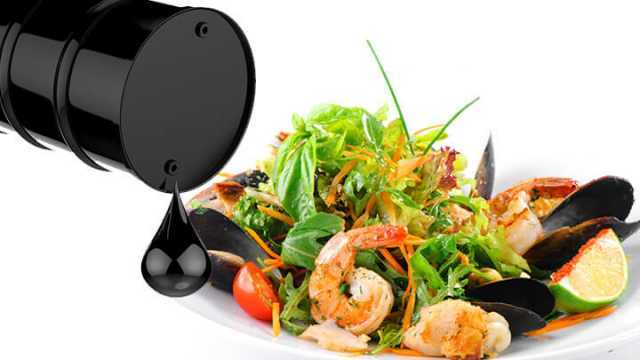 Crude oil spills are linked to toxicity in seafood. It’s frustrating for me, being so passionate about something that’s so wonderful, yet so threatened. I think there’s a disconnect, which is a major part of the problem. Too many people are stuck in an “out of sight, out mind” mentality. But now, research is making us see the direct consequences of our actions. At the beginning of 2017, researchers from Stanford University’s Hopkins Marine Station identified a key substance in crude oil. They concluded that this substance is what’s causing cardiotoxicity in fish, which are rapidly exposed to crude oil spills. As you probably gathered from the word “cardio-toxicity,” this condition directly affects the heart. When muscle becomes damaged, the heart becomes weaker. As you’d expect, the heart then becomes less efficient in pumping blood throughout the body. In humans, this is often seen among those taking chemotherapy drugs. You may be thinking, oh no — when I eat fish, I eat this toxic substance, right? 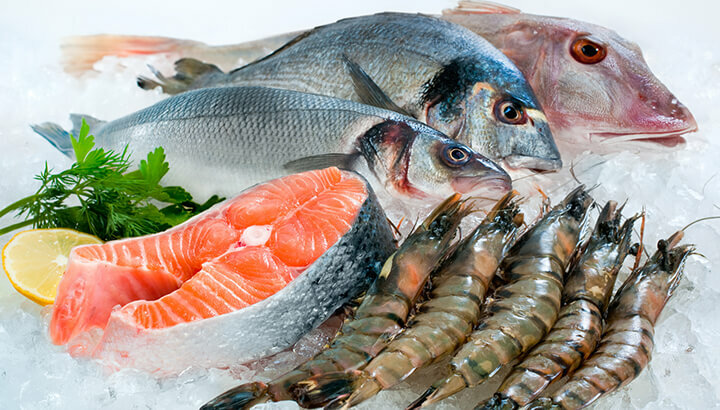 Although we are exposed to toxins through the seafood we eat, this issue is much more widespread. This identified substance is abundant in our air pollution. Meaning, we are currently facing a global threat in terms of human health. So, what is this nasty substance? It’s known as phenanthrene, a type of PAH (polycyclic aromatic hydrocarbon). Due to the heavy use and extraction of petroleum, these toxic substances are also found in contaminated soil. Studied for decades, these chemicals may be strongly related to the development of cancer. You may have also heard about PAHs in regards to grilled meat. Although this connection has been under study for years, researchers have now discovered how these chemicals may affect the heart. While studying tuna and mackerel, which display similar aerobic poise to that of higher vertebrates, including humans, phenanthrene was shown to significantly impact this vital organ. Causing both arrhythmia and weakened contractions, when exposed to PAHs, it’s believed that similar cardiotoxic effects may occur within the hearts of higher vertebrates — including most mammals and birds. We’re definitely breathing PAHs in through respiratory pathways, but are we also eating them? As mentioned, fish and other marine species are directly exposed to the toxic substances found in crude oil — but do we eat this contaminated seafood? If PAHs are in the air, are they also found in food grown on land? Within one review, published in the Egyptian Journal of Petroleum, researchers examined the occurrence of PAH in food. Naturally, raw foods do not contain high levels of PAH. When looking at remote areas, the levels of PAH in unprocessed food typically reflects the long distance contamination of airborne particles. In these areas, natural forest fires can also contribute to slight increases. Vegetables in industrialized areas are contaminated. In contrast, when looking at industrialized areas, as well as alongside highways, it’s a much different story. In comparison to rural areas, the contamination of vegetables can be ten-fold. Within a 2012 study, published in the Bulletin of Environmental Contamination and Toxicology, popular vegetables were collected from major cities in Saudi Arabia. Eight key PAH substances were analyzed. Overall, for total PAH levels, root vegetables like potato and carrot showcased the highest values. When studying individual fruit vegetables, the peel contained significantly higher levels than cores. Turnip and leafy greens, particularly cabbage, also displayed high PAH levels. As stated by the researchers, human exposure is dependent on intake rates. Similar PAH toxicity reports have been published in the United States. In fact, the U.S. Environmental Protection Agency have voiced their concerns since the 1970s. They proposed that a set of 16 PAHs be closely monitored based on potential risks to human health. 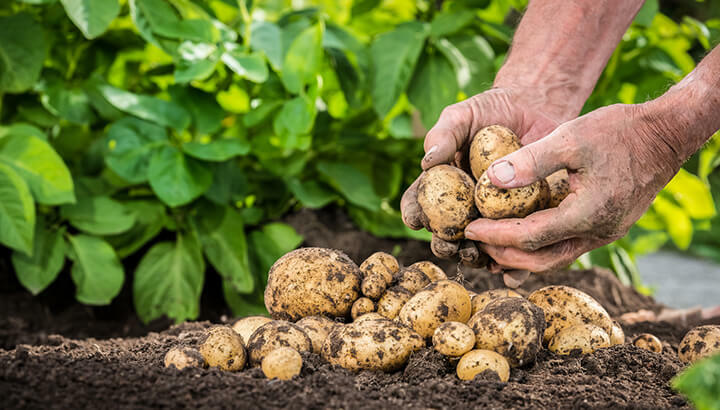 After all, food can be contaminated through air, water or soil. As you would expect, based on bio-accumulation in tissue, PAHs are also found in marine species. Since PAHs are found in marine sediments, organisms such as mussels, clams and lobsters are particularly affected. Of course, we eat these smaller species of seafood — but also consume higher predators, including fish and squid. Anything with petroleum jelly, including chapstick, contains a byproduct of crude oil. I figured that this was also worth mentioning, especially since it’s currently winter. If you’re one to grab Vaseline or Chapstick to soothe your cracked lips, you’re also ingesting a byproduct of crude oil. Yep, that’s right — anything with petroleum jelly, or petrolatum, is a secondary product from fossil fuels. As a matter of fact, it’s not just your lip products you need to be concerned about. As stated by the Environmental Working Group, petrolatum is now found in as many as one in every 14 beauty products, including baby lotions and makeup. Unfortunately, it’s an inexpensive filler. In order to make money, public health and the environment are paying the price. Just like in fish, petrolatum cannot be broken down or eliminated — it stays in your tissues for life. Within one 2011 study, after examining 142 women, it was found that 100 percent of participants had petrolatum in their fatty tissue samples. Although it sounds scary that some women had one gram of mineral oil in their bodies, some had a shocking 10 grams! Of course, you cannot walk around in hazmat suits or avoid “fresh” food, but you can actively reduce your exposure. The answer is simple — go back to basics. From candy to crackers, snack foods to packaged baked goods, many processed foods include mineral oil — as it does not go rancid like other vegetable oils. From the foods we eat to the hygiene products we use, pay attention to where it’s coming from. If possible, buy more fresh food from your local rural farmers. Make your own DIY makeup. And please, begin to educate yourself and others on the current state of our oceans. Learn what you can do to make a difference in your community and country. If we all do our part, we can create a domino effect that’s much more significant. We need to start standing together, making our voices heard. There has never been a more critical time — especially based on all of Trump’s near-future plans. If you have any ideas or experiences to share, please do! Let’s work together to make a difference — after all, we’re eating, breathing and drinking the consequences of our actions. Hey Buddy!, I found this information for you: "Warning: You Are Probably Eating Crude Oil In These Foods". Here is the website link: https://www.thealternativedaily.com/people-eating-crude-oil-in-seafood-and-produce/. Thank you.